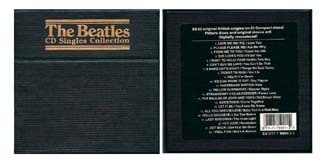 Released in late 1992, this 22 CD box set was designed like the EP set, but reproducing all of the original British single releases. 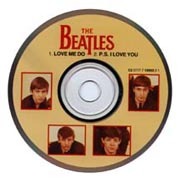 All of the 5" discs have individual sleeves similar to the original British issue picture sleeves. The box was issued in Britain November 2 (CD BSCP 1), in the USA on November 11 (C2 0777 7 15901 2 2), and in Japan on March 24, 1993 (TOCP-7701/7722). 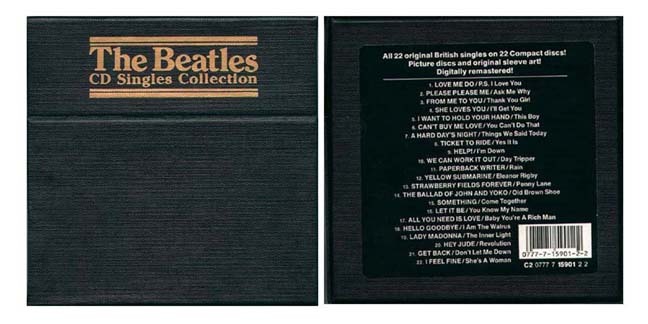 These 22 singles were first released on the compact disc format in 1988 and 1989 as individually packaged 3" CDs. 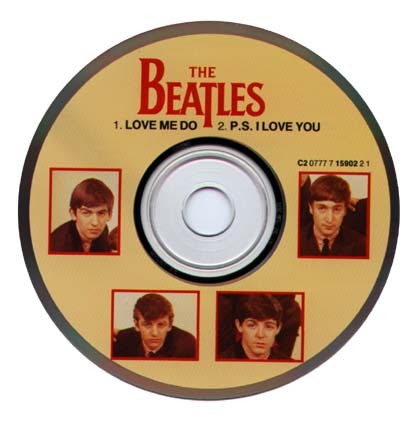 Japan also isued their 3" singles in a beautiful blue miniature box set in December 1989 (TODP-2121/2142).